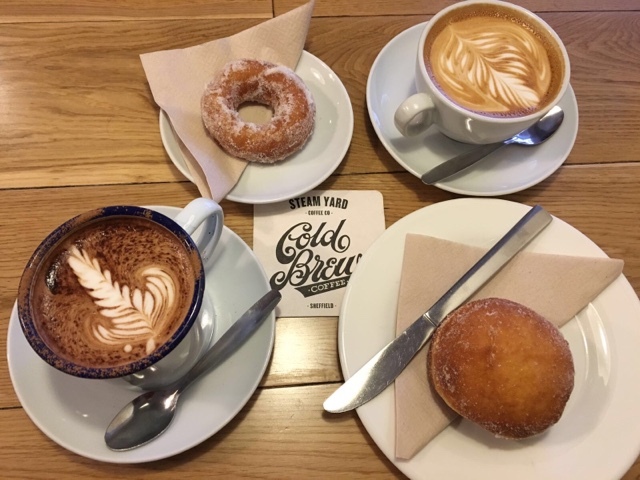 One simple idea – a place to come to have coffee and doughnuts with your mates, and it has made what in our opinion is the best place to have coffee in Sheffield! Located in the City Centre and just around the corner from Devonshire Green, it is a haven for conventional doughnuts and other fancies, along with some of their own inventions such as the ‘Hot S’more’ doughnut and the ‘Mestizo’ – which are seriously to die for! Although they sell extremely fast, so be sure to get there early to avoid disappointment (we learnt this the hard way!) 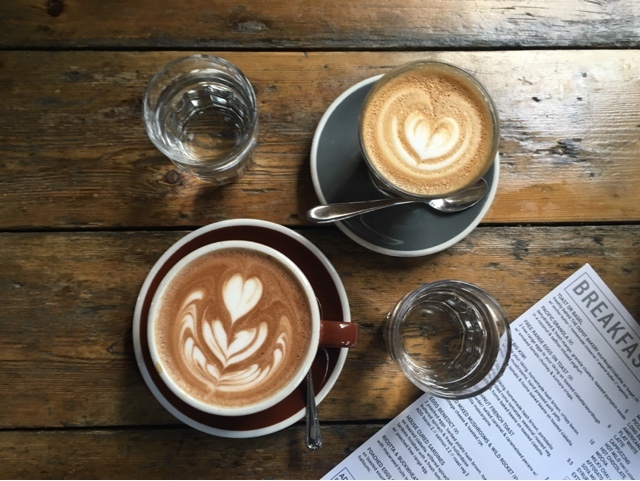 The coffee is beautifully presented, and all in all, makes for a great Instagram post! This cafe is a true representation of their name – ‘Friends and Bikes’ has their image built on a perfect pit-stop for cyclists, or in fact anyone else! 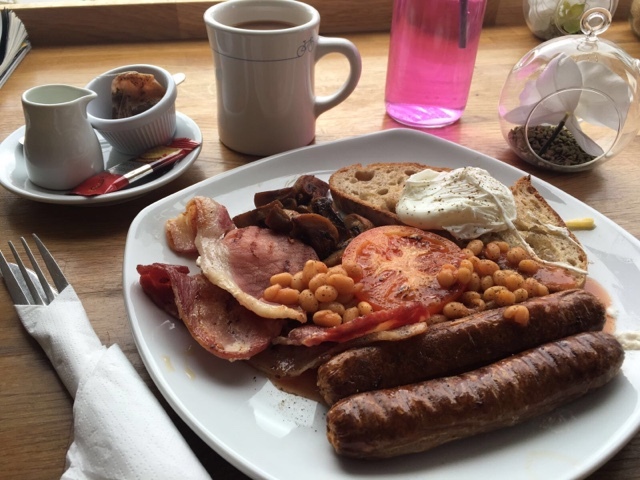 The coffee has always stood out amongst the many others we have visited in Sheffield, and was complimented by the great Full English Breakfast we had to go alongside. It has tough competition being located literally right next to Bragazzi’s and Forge Bakehouse, but it has won this battle as unfortunately those two didn’t quite make it into the best 5! And we’re so glad we saved one of the best until last! This place is small and full of Italian character, optimised by the owner with his friendly and personal approach which made this trip a memorable one! It isn’t in the most obvious location as I doubt we would’ve ever have been down this road if we weren’t planning on coming here – but we’re just glad we did! 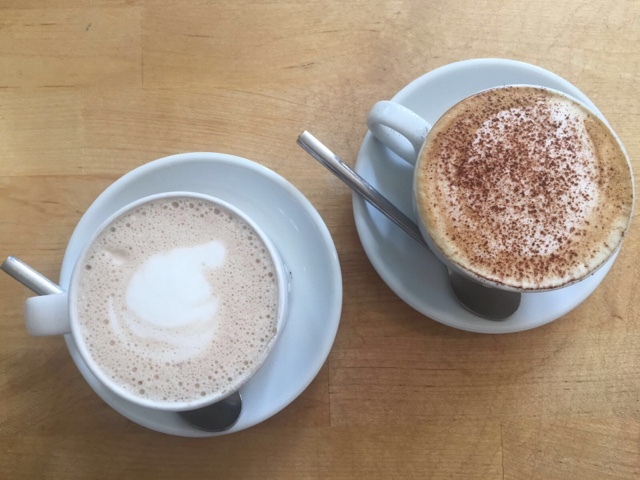 Jessica has found her love for Chai Latte and this is her favourite out the lot, and the handmade panini’s we had there were seriously tasty! So if you’re around this part of Sheffield, extend that Endcliffe Park walk a little and carry on forward to Oakbrook Road – you won’t be disappointed! Tamper is the perfect place to sit in or takeaway your coffee, with either a delicious snack or if your sitting in, some fat chips (a personal recommendation – they’re simply amazing!) 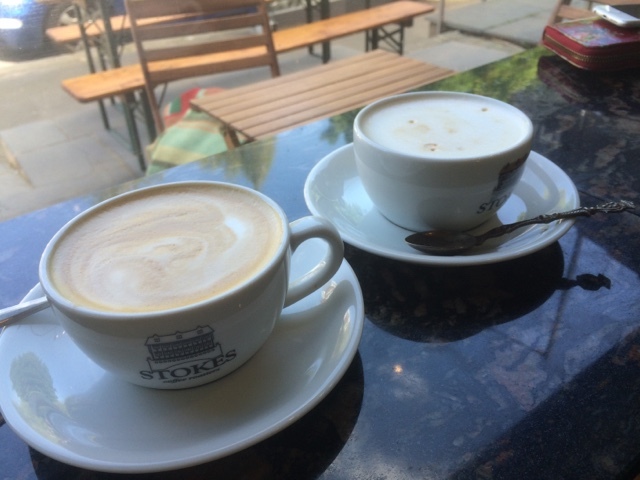 But to be fair, everything about this place is great – coffee, food, atmosphere, character – its got it all! We have visited twice the Sellers Wheel branch but are yet to visit Westfield Terrace – so that is firmly on the list as soon as we are back in Sheffield! And finally, but would definitely not be finally if I was writing about food (in a good way, its outstanding), is this cute little cafe which again, represents its name very well! The character is all about it giving an impression you are in someones home which is detailed with cushions saying ‘Happiness is Homemade,’ which by the way we have since seen in Sainsbury’s – and yes we bought it! The food is sublime and the coffee is great too! Again, probably a part of Sheffield we wouldn’t have been to if it wasn’t for coming here and Cafe #9 which is just across the road!